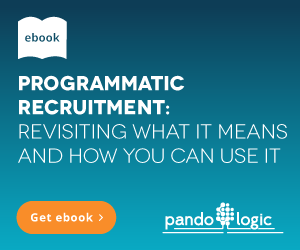 Programmatic recruitment can solve a host of talent acquisition problems. It doesn't find the answer; it is the answer. Data is the foundation of HR automation that makes everyone's life easier. The industry is already headed in that direction, according to the Society for Human Resource Management (SHRM). But without the right analytics, over-reliance on data can also create blind spots that cause you to miss some of the most critical and relevant data that you never knew you needed. Fortunately, data can solve those problems, too. By now, Big Data has gained the traction that it needs to settle into the talent acquisition mainstream. Data is no longer a movement or a trend. Most larger businesses use Big Data. Although it began in marketing and sales, it's branching out into HR. Analytics is the key to understanding it. But data for the sake of it isn't especially helpful. Without the right analytics, data can create strategy blind spots. Fortunately, it can also help you find those gaps and solve the problems they create. The important thing is to explore what data can do while staying involved and in control. It might be easier than you think to miss details that could help or hurt your initiatives if you put data on autopilot too soon. With passive candidates making up the bulk of the talent market, competition is high. Every employer and recruiter needs smarter and more fact-based recruitment tactics and strategies. The more you know, the more you can improve. But sometimes, what you know can lend a false sense of security. There's always something else to know. Sorting what's important from what's not can leave you more confused than when you started. That's why the right technology is so important. It's not how much data you collect, but also what you collect and analyze. More than that, it's not just how much data you analyze, but how effective your technology is for illuminating what's meaningful to your goals. Marketing and sales have known some of the data pitfalls for years. Where there's a blind spot, they can lose a potential customer or miss out on a way to keep a lead engaged. Why do customers make certain decisions? Job candidates are customers. You know when they stop reading, fail to accept a call to action or opt out before finishing a job application. But do you know why? Do you expect your website to just work? Hiring sites help job prospects learn about the company and navigate their way through to a job application. But data collected along the way help you continually improve site performance based on user actions. It can also predict actions based on past performance and maneuver differently. Is your map still the most effective route? Don't rest on past laurels. Just because a process, tactic or an entire strategy worked once doesn't mean it will remain the best. Data analytics keeps track of what's working so a new blind spot won't pop up under the radar. Are you so focused on collecting more data that you forget about quality? Just because you can know something doesn't mean you need to. It's not about data quantity, but data relevance and useful analytics. Do you know why a strategy or tactic worked? Some templates are fine, but not as an exclusive talent acquisition methodology. Duplicating past efforts-down to job ad placement-because results were positive misses a potential sea of other and possibly better tactics to improve. Of all metrics and KPIs in the whole of the talent acquisition industry, quality-of-hire or QoH is arguably the most important. Stuart Jones, founder and principal consultant trainer, InSource Talent, Ltd., says at LinkedIn that it's the ''ultimate recruiting metric.'' It can also be a moving target. Within QoH, myriad other metrics are waiting to be explored. Each one could be a blind spot or a point of illumination, depending on how you use data. CareerBuilder chief HR officer Rosemary Haefner tells SHRM that Human Resources is ''late to the analytics game.'' That's compared to marketing and sales. But metrics in the talent industry isn't a new concept by any means. She says that in addition to reliable metrics, such as time-to-hire and cost-per-hire, ''other channels and avenues'' are opening up. Haefner uses time-to-fill as an example. Let's say that time-to-fill is the metric that gets most of your focus. After all, the longer a position stays open, the more it costs the company. If improvement means filling a position more quickly, then the faster the job is filled, the better. Think about a candidate who's easiest to find and hire. Are they likely the best talent for the job? If you're using data-driven recruitment technology, then the chances are much better because targeting is better. Your marketing message will reach more of the people you want to reach because ad spend is used toward the most effective methods for it. But that's only if the technology is designed to learn and it's always switched on. Not all data-driven recruitment technology is the same. Not all of it was developed to improve and grow as you go. Artificial intelligence and machine learning can make a huge difference. Blind spots have fewer places to hide when your technology is always looking for them. Even better, technology can take action automatically based on what it knows. Just when you think you've got the hang of data-driven recruitment, you see someone else wearing a T-shirt from the Biggest Ball of Yarn gift shop. They had better technology. With the business climate primed to embrace data and data analytics even more in 2018, it might seem counterproductive to talk about an over-reliance on data. But in certain situations, technology creates more problems than you've got. Some data is just noise, and some technology can't do what you need it to do. If you depend on the information gained from analytics, but it skips over relevant data points, you've got a blind spot. 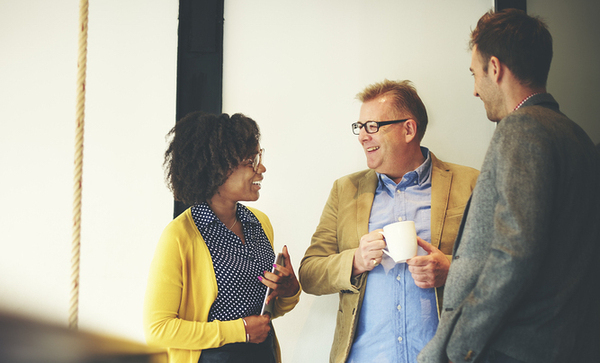 Unfortunately, what you can't see can hurt your talent acquisition KPIs. Haefner says ''the first step'' in using data analytics to solve problems ''is knowing what you're solving for.'' Good data is actionable. It helps you create solutions using information that addresses problems and the many possible causes behind them. Those numbers are due in part to progressively lower unemployment rates. Low unemployment wicks more top talent off the market. But what other factors are at work for your business? Solving for better time-to-hire metrics requires a better understanding than what's working under the top layer. Businesses are making considerable investments in understanding data to make it work for them. From there, you can step into predictive analytics. That's one of the newest and perhaps most useful advances in data-driven recruitment technology. Predictive data uses what happened with your business in the past to make fact-based predictions. It can also weave in information from similar companies for a more well-rounded picture. What can you do with it? Plenty. Whether your 2018 budget will be bigger or leaner than before, predictive technology helps you make the most of every penny. At present, unemployment is low, and the economy is still growing. That's both good and bad for HR. Pros: a better economy is good for business. New jobs open up. You might even have a better budget than last year. Cons: top talent is harder to find. The harder they are to find, the more of your time and budget are allocated toward sourcing and hiring. With predictive data, you can maximize your ad spend and budget in all directions. Categorize jobs into those that are more or less challenging to fill. Then direct more of your budget toward jobs that need it while using a more conservative amount toward easy-to-fill positions. That's what you'd have always done if you could see in advance which was which. Predictive data tells you which actions will perform better without all of the experimentation. Even better, the newer technology works automatically, or at least it can if you want. But instead of robots threatening your job, they're smart, self-learning HR and recruiting assistants. That level of help frees up your time for tasks that need a human's attention. If you've ever wished for a clone or at least another set of hands, here's your chance. Just because you have GPS doesn't mean you know the best possible route to get from here to there. What's best is relative. Every business is different and so are every business's hiring needs. If you trust your current technology too much, you could quickly work with a blind spot that prevents you from firing on all cylinders. Fortunately, there is also technology that's made to adapt. It's always looking for data. It's always analyzing it. And given a chance, it's ready to step up and make decisions based on what it has learned about performance in the past. That's smart, and it's more useful than anything you've used before. If your GPS had it, you could be blazing a trail of your own.